Sometimes I don’t get any time to read, other times I get carried away and don’t stop. This novel is by another author I came across through the Kindle Boards and is also available for free until tomorrow on Smashwords. And it’s another romance (I must be in that sort of mood at the moment). I enjoyed it very much. It follows the growing relationship between two young men in the build-up to their High School Prom. After the story of the Mississippi prom which was cancelled earlier this year, the novel (which was published on Smashwords in 2008) seems remarkably prescient and topical. I thought the love story was delicately handled and the responses of the boys’ mothers to the relationship were sensitively drawn. The writing is clear and at times poetic, with excellent dialogue. The whole book is suffused with a quiet sense of humour which made for a pleasant reading experience. Even if you don’t think this is your cup of tea, I’d urge you to give it a try. I think it would appeal to a wide range of readers. Although probably not to those who really should read it! 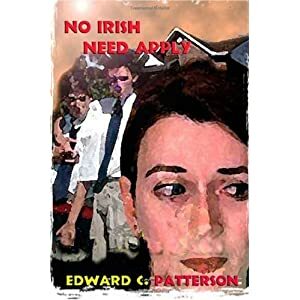 I haven’t gotten to this Ed Patterson book yet, though I’ve read and enjoyed several of his others. I love the poetic quality of his writing.